“Parivartan” is a Student’s Social Responsibility initiative of IIM Kashipur. The objective of this programme is to work on social issues prevalent in and around Kashipur. The motto of the programme is “Envision, Act, Emerge”. The programme intends to make a difference by envisioning a change in the society, acting on it and thus helping the society as a whole to emerge and develop. This year under Parivartan, students of IIM Kashipur have initiated a series of Career development and Personality development sessions for school children in the locality of Kashipur. 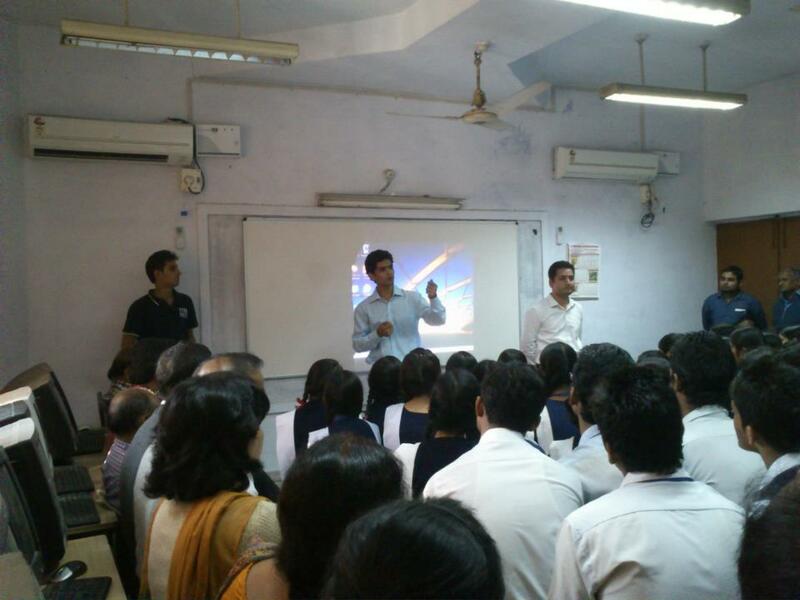 Kendriya Vidyalaya, Kashipur was the first school to have such a session. When approached by the students of IIM Kashipur, the Principal Mr. B.D.Oli mentioned that in today’s competitive world students in 12th and 10th standard are exposed to intense pressure and may get depressed in case of failures. He also added that students of this age group are highly vulnerable to emotions and they should know how to control them. Addressing these issues, a session on ‘Self Management’ was conducted by the students of IIM Kashipur. Two volunteers Rakesh Dhinwa and Ravi Kumar, 1st year students of IIM Kashipur delivered the session on motivation and controlling emotions through inspiring videos and fun oriented student activities. Few faculty members who also attended the session mentioned that such sessions were very useful to the students at this stage of their life. The students found the session very thought provoking and helpful.